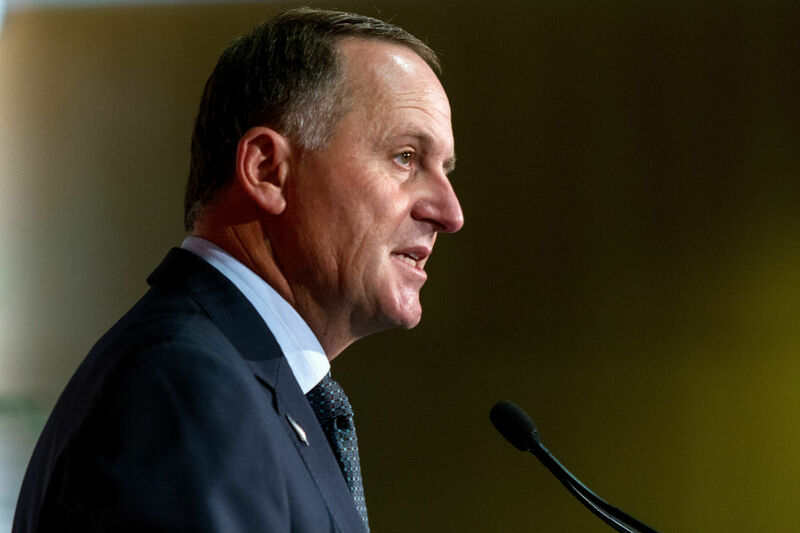 There’s an election approaching, and Prime Minister John key is pretty confident that he’ll still be Prime Minister when it’s over. Full disclosure: I won’t be voting for his party (National). Seeing some of the propaganda that has been churned out in this election lead-up has caused me to notice something I hadn’t noticed before. So I went back through political propaganda from previous years, and there it was. I hadn’t seen it before, but it was there. 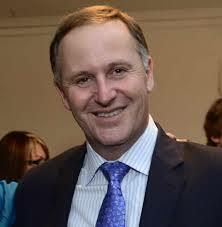 Here’s a photo of John Key. He’s an average looking guy – you might even think a fairly nice looking guy – with no outstanding features. 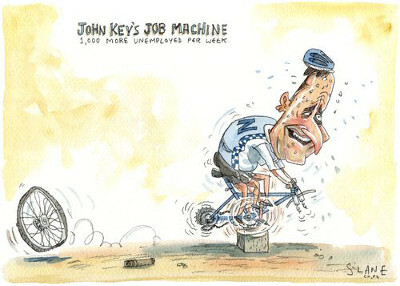 Here are a few political cartoons featuring Mr Key. But just recently I’ve started to notice some specific features in some caricatures of Key, and I’m certain that I’m not imagining it. Some of these are older cartoons, some more recent. First, here’s one from Sharon Murdoch. 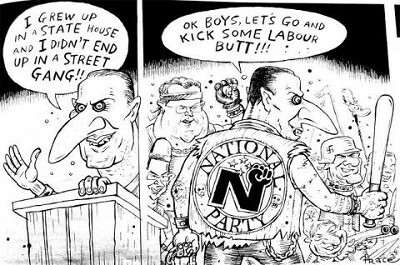 I’m not sure who the creator of this one is, but you get to see the whole lineup of New Zealand political stars on offer at the moment. Russell Norman on the far right of the picture (how ironic!) 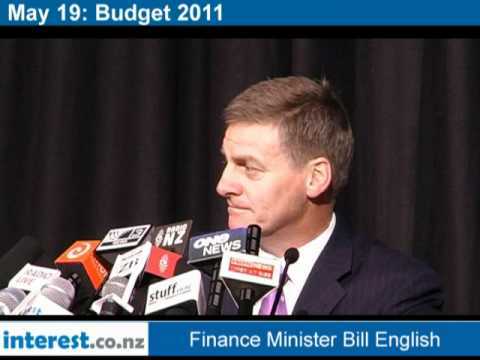 has a nose slightly longer than most here, but check out the honker on John Key, second from the left. Mad, glaring eyes, some scary looking teeth and a huge long nose. Here’s another from an artist I-know-not-whom. 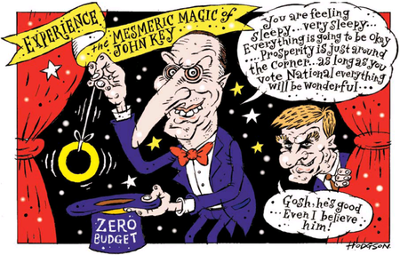 I started to notice that the long nose doesn’t always appear, but is most prominent when Mr Key is depicted as greedy, motivated by profit, oppressing the working class, selling off New Zealand’s assets to foreigners and so on. Enough examples. Why am I pointing out this tendency with some artists? 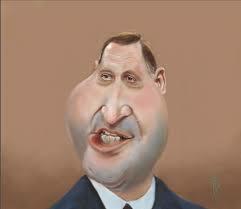 Although not a religious believer, Prime Minister John Key is Jewish. These are not caricatures of actual features that he has. 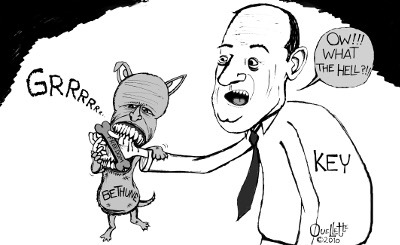 These are the creations of political cartoonists. 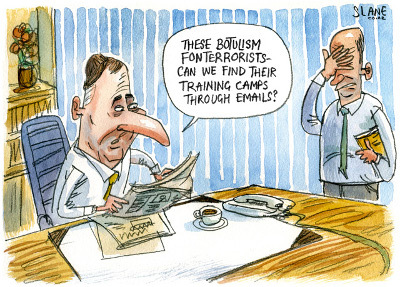 I say again, political cartoonists. Now of course I cannot pry into the minds of these artists. I am not in a position to say that they did this deliberately. I can only say that it looks that way to me. 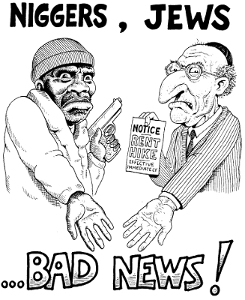 Here are some examples of anti-Semitic cartoons that we would readily recognise as such. Yes, I realise that these are offensive. That is the point. 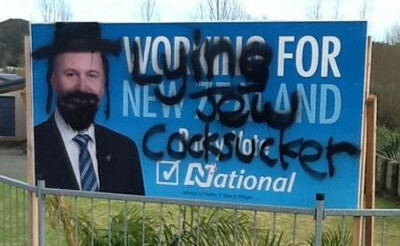 Sure, the billboard vandalism makes the anti-semitism obvious, but I don’t know why I didn’t see the connection between this and other propaganda before. It’s intriguing to see some stereotypes about “right” and “left” topple here. 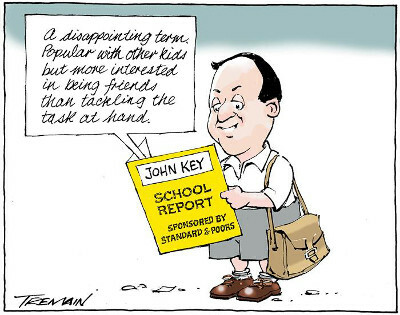 Key is almost exactly in the centre, politically speaking, and the cartoonists who make fun of him (and of course, they make fun of politicians generally) are further to the left. 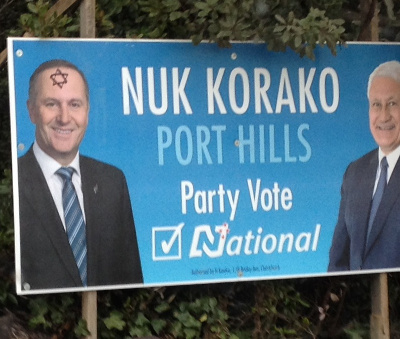 Anti-semitic movements in Europe are usually (although, I think, confusingly) described as “far right.” But there is a distinctly dark side to New Zealand political propaganda that has been rising to the surface in the last few years. We should all be very troubled by what we are seeing. You may be right. 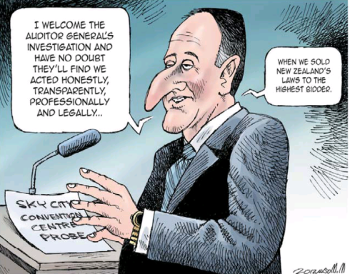 But it is worth noting that if you google pictures of John Key in profile (rather than the front on photo you have above) you will see that he *does* have quite a big nose. And it is a pointy nose. It may be more innocent than you think, and they may just be exaggerations of his actual features. 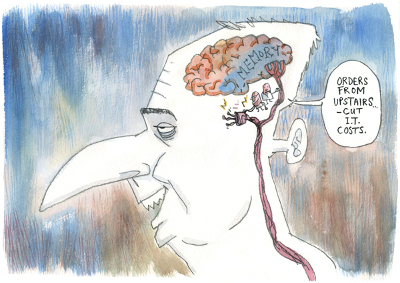 I hope so… I will for my part give the political cartoonists the benifit of the doubt on this one. I want to believe it’s just in my head. But I don’t think so. Plus the eyes and fangs. It looks very bad, especially in light of our shared knowledge that anti-semitic remarks and graffiti about My Key do happen. Politically correct rubbish, Mr Peoples. 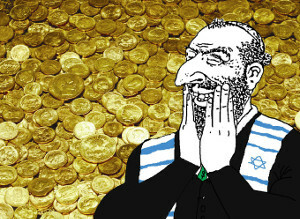 Stop following what the media and the UN want you to think, and think for yourself: Look at the roles in commerce and fiance played by Jewish people. Look at the relationships Israel has with other nations, namely only those relationships that offer money to Israel. Look at the financial impact Jewish business culture has on the world. Honesty? Helping others? Not in the least. 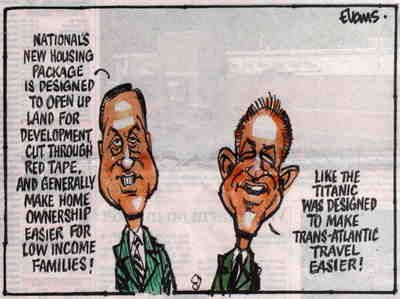 John Key was a high rolling investor. Even now he serves the interests of who? Bankers, businesses, corporate power holders. NOT hard working people. Call him non religious all you want, he’s a Jew. 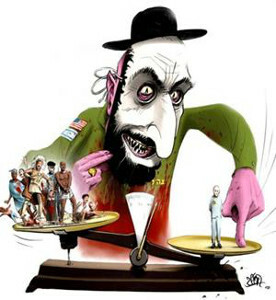 These are not anti-semitic facts, they are just facts. If artists want to pay some small tribute to FACT as their escape from the stranglehold of PC madness, I say good for them. 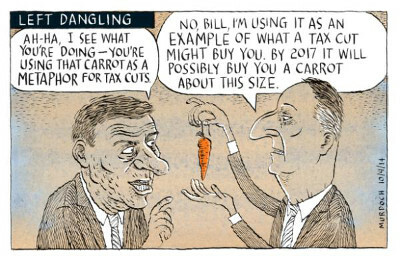 I find these cartoons funny, and the billboard vandalism, which I do not condone (vandalism is wrong and profanity is infantile) just expresses the frustrations of many decent hard working people who are not being helped by this money sponge. I repeat, these are facts. Are the facts “anti-Semitic” Mr Peoples, or is that word just a scare tactic to stop people from thinking about the facts? Stop following the herd – although it looks like the herd is finally waking up in New Zealand. As much as I would like to say “SEE? !” I’m reluctant to actually think that comment is genuine, Aaron. If you agree with me about this tendency then say so, but there’s no need to try to prove it with a ruse. 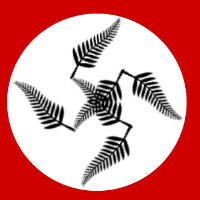 Glenn, this isn’t unique to New Zealand. Antisemitism is rife on the Western Left. I wrestled a Socialist Workers speaker in Tottenham, London for his mike because he was ranting about Israeli genocide and fascism. They target Jewish areas like Tottenham and make these statements because they are Jew baiters. Simple. I can’t prove it. Like you can’t with the cartoons. But I know it! 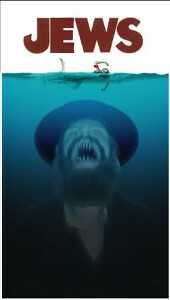 Oh my Lord- the poor Jews. What about the suffering of wwii? The magic number 6 (66) million dead (as well as 35 million white people- but enough about that- would not want to be called racist). Did you know that the world’s leading researcher and historian on wwii – David Irving- is still banned from NZ? as are his books. That’s right- the poor Jews suffered so much in wwii- that we even ban books for them. David Irving is a nazi revisionist. In other words, he is a criminal. That speaks for itself… And it’s miles off topic.